WhiteFire Publishing released Gail's memoir, Catching Up With Daylight, in 2013. In This Together, her debut WWII era novel, released in November, 2015. The first in her World War II series, In Times Like These, released in May 2016, the sequel in February 2017, and the final on December 7, 2017. 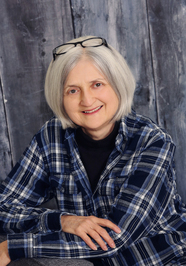 Gail instructed college expository writing and now facilitates writing workshops and edits. She and her husband split their time between Iowa and Arizona Rim Country. To ask Gail Kittleson questions, please sign up. Gail Kittleson and 13 other people liked Judy Moore's blog post: Did you really just say that? We’d love your help. Let us know what’s wrong with this preview of The Master Butchers Singing Club by Louise Erdrich. "WWII historical fiction, a boyfriend lost in the Pacific, a wounded soldier comes home, a brother missing in the Pacific, a too-tall protagonist, a sweet romance set in an Iowa mechanic's garage. What a delightful novella." Hi Gail, nice to see you on Goodreads.